Business fashion and beauty. Fashion model with stylish hair. Guy or businessman at textured wall. Man with long beard and mustache on face. 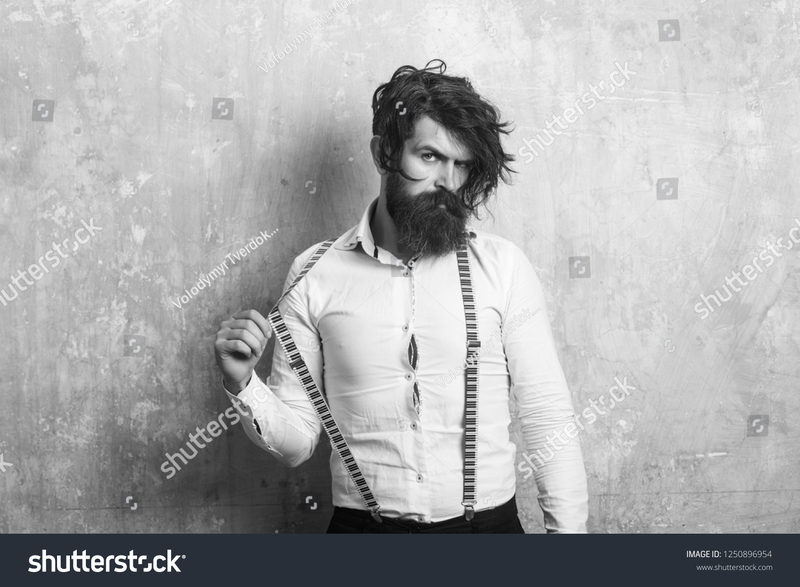 Hipster in shirt and suspenders.